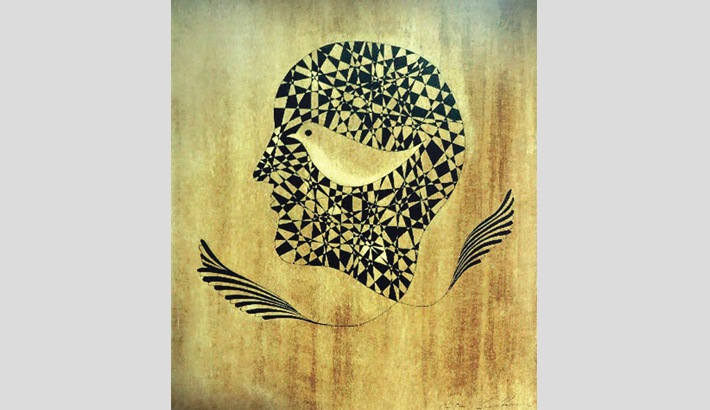 A two-week-long 3rd solo painting exhibition by artist Md Abdul Guffar Babu titled ‘Pixel of Emotion’ will begin today at La Galerie, Alliance Française de Dhaka. The exhibition will be inaugurated by Enayetullah Khan, chairmen of Gallery Cosmos and Cosmos- Atelier 71 with Professor Abul Barq Alvi, Faculty of Fine Arts, University of Dhaka, in attendance. The artist has tried to reflect the emotional changes people go through in their daily lives due to socio-economic and political conditions and hardships in his canvas. He has also endeavored to frame those different phases of emotional states amalgamating with a conceptualized setting. Abdul Guffar Babu believes these ‘frames’ may somewhat express emotion in the breadth of its definition. “Emotion can be defined as an intellectual activity of the human psychology or a particular degree of expression reflecting pleasure or dissatisfaction. Emotion is complex. It changes due to the physical and mental states of every human being. Some theories posit emotion as a syndrome of elements that includes motivation, feeling, behavior and physiological changes, but emotion’s definition remains as vast as to be almost intangible. Interestingly, art is a medium to express emotion in the form of pictorial depictions that are widely used and accepted,” the artist said about the concept of this exhibition. The exhibition will remain open for all till February 22, 2019.